When Tesla's Elon Musk reveals the "D" next week, he'll also reportedly talk about the automaker's self-driving technology. According to Bloomberg, Musk is set to unveil a control system built for the Model S capable of keeping the car in its lane on highways. Earlier this week Musk said Tesla would offer a car as early as next year that could drive 90-percent of its miles on auto-pilot. Tesla is already at the forefront of EV technology, with plans to open up a gigafactory in Nevada next year, so it's no surprise to see Musk's company aspire to lead the self-driving charge. Musk previously said Tesla is at work on advanced self-driving technology, but there are still many obstacles to overcome, not least of which improving the computer vision technology necessary for a completely autonomous experience. 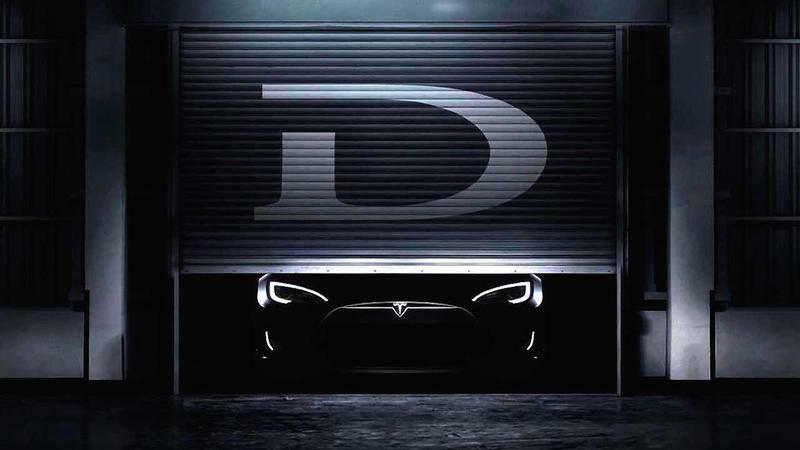 We're pretty sure Tesla's D will be an all-wheel-drive Model S, so that mystery has (likely) been solved. Now it's just that "something else" we're waiting to hear more about. As noted by Jalopnik, other automakers like Mercedez-Benz, Infinity and others offer systems similar to the one Tesla will supposedly unveil next week, but Musk might have something more advanced up his sleeve. Unfortunately for older Model S owners, cars won't be able to be retrofitted with the self-driving system. The newest Model S sedans now come with front-facing cameras, which Jalopnik notes is integral to the auto-pilot system. Tesla's event is scheduled for Oct. 9, so we'll see what the fuss is about soon.